A range of attractions to choose from! If you're looking to see the best of the Gold Coast at a great price, be sure to grab yourself one of these outstanding passes! Save up to 40% on admission prices and enjoy great value for money and unbeatable convenience on a range of tours, attractions and experiences all bundled into one - from wildlife parks to jet boating to cruises and attractions, there's great variety and the choice of what to see and do is entirely yours. 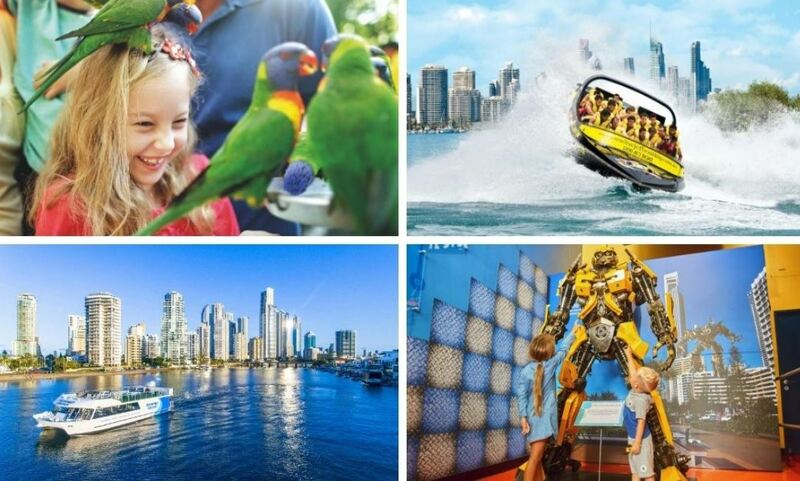 The Gold Coast Flexi attraction pass comes with 3, 5 and 7 attraction options to ensure you only spend as much as YOU want; simply choose the number of attractions and you can customise your own Gold Coast itinerary. Available in multiple length packages, this pass allows you to choose from over 30 attractions on the Gold Coast and customise the itinerary to YOUR liking. See the best of the region while saving yourself a bunch of money - buy one online today! Your voucher is valid for 12 months. Once you have been issued your card, you will have 3 months flexibility to use the card.